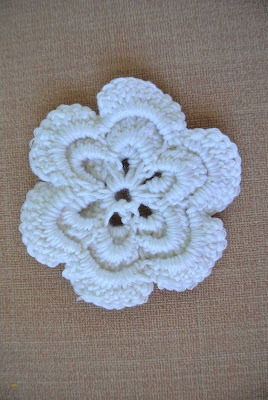 Here's a close up of the crochet flower that I used on this trivet. The pattern is from a leaflet I purchased about 4 years ago at my local quilt store. 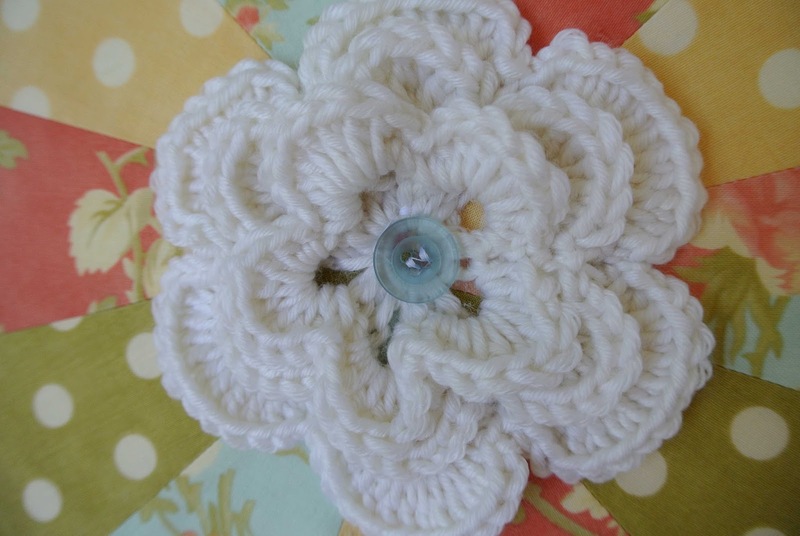 The leaflet is titled Crochet Candy - Embellishments & More. I used pattern #2, Moss Rose. The actual size of your crochet flower is determined by the size of your yarn and hook. 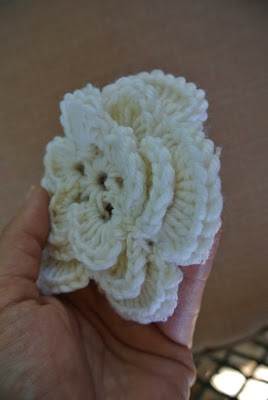 I used Martha Stewart extra soft wool blend yarn in color #500, bakery box white. My hook was a size H/8. 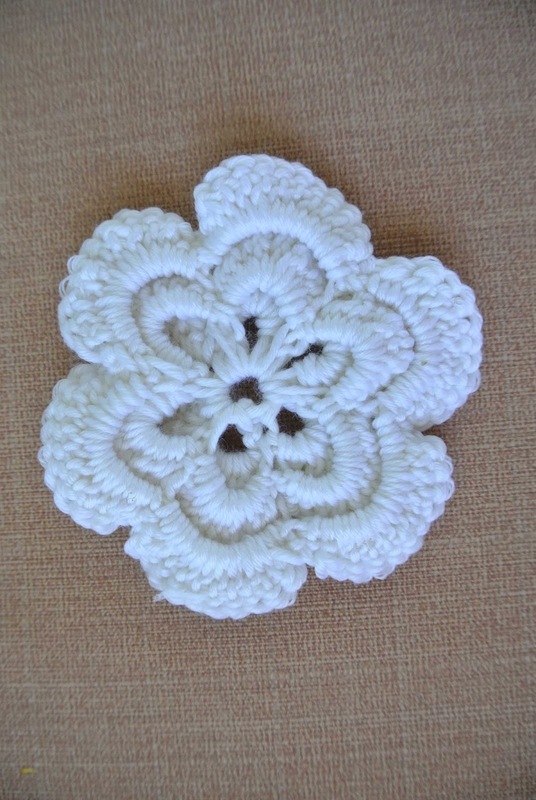 The trivet was almost 14" in diameter so I needed a good sized crochet flower to balance out the size of the trivet. The circumference of my flower is 4 1/2". I am on track with the Colette Patterns Hawthorne Sew Along, so that will continue to be the focus of my sewing attention this week. Have a productive sewing, knitting, crocheting, painting, whatever-it-is-you-enjoy week, my friends.